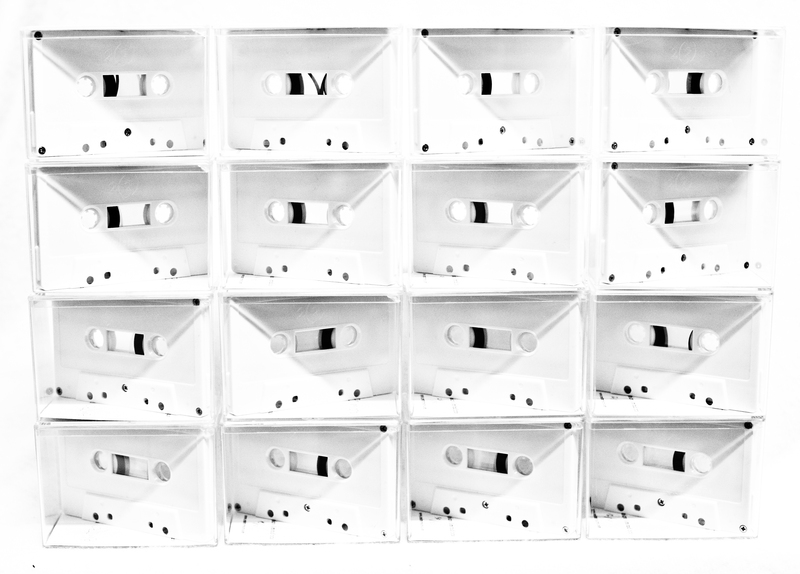 Limited edition, laser-engraved cassette (30 tapes) with handmade packaging is SOLD OUT. 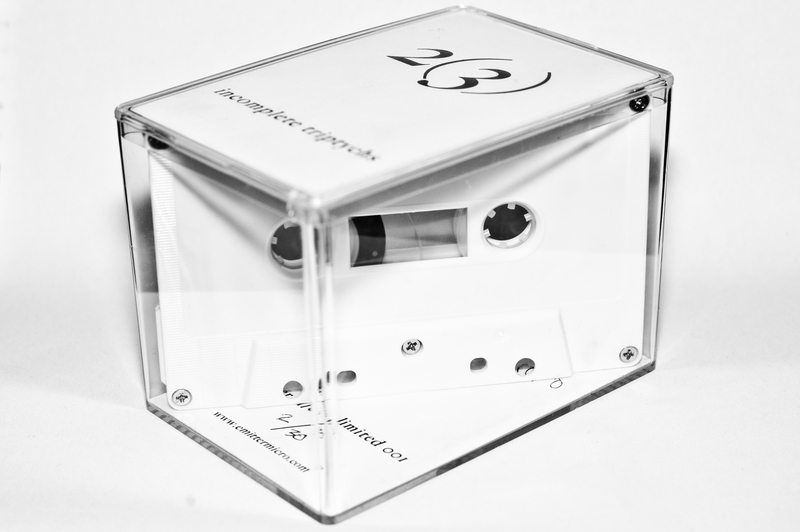 Nice little thing in a perspex box is a cassette tape which arrived from Berlin in April 2012. It’s the very first release on Emitter Micro, a tiny DIY label from Berlin. Pierce Warnecke and Christoph Limbach prepared three separate recordings but decided to release only two of them; the decision was to do with the limitations of the C30 cassette, and rather than compromise on a matter of such mathematical precision, they elected to keep the third piece in reserve as the unseen and unheard part of this “incomplete triptych”. The decision to pack the item in this see-through box only deepens the riddle of inaccessible and inscrutable music in some way. I had half expected the package to be welded tight or sealed with superglue, but as it happens I was able to pop the lid quite easily and soon had the all-white cassette spinning happily in my machine. After I took it out I noticed that the title has been inscribed on the shell in “blind” (using laser etching), another near-invisible component to the work. The duo haven’t missed a trick in assembling this conceptual home-grown art object, no aspect left unpondered. It’s also very good to listen to, when you’re prepared for a good facial scrub of late-night scrapery and unexpected electronic blastage. Realised using just a prepared drum kit and live electronics, this is music that starts out strangely minimal and uncertain, only to turn violent and abrasive at the turn of a screw, then subside into sullenness just as suddenly. It’s as though the two players were studiously trying to avoid treading directly on any known modern music genre, and set out to walk the self-imposed tightrope with the aim to avoid the major pitfalls presented by free improvisation, “reduced” improv, and table noise – to name but three. I do like the unexpected moments that erupt out of this set-up, and some of their high-volume sounds are just spot-on as headache-cleaning solvents or industrial cleansing agents. They also sent me a CDR, their second release, not yet heard at time of writing but I’m glad to have it because both of these existed in tiny editions – 30 copies only – and it’s probably no surprise for you to learn they are pretty much sold out at the parent website. However, they also organised a music festival in May this year, with some substantial players on the roster – which gives one hope for the future, if they can leap from making very limited pressings to setting up a three-day art music festival in a capital city in just one year. Many thanks to Pierce for sending these.